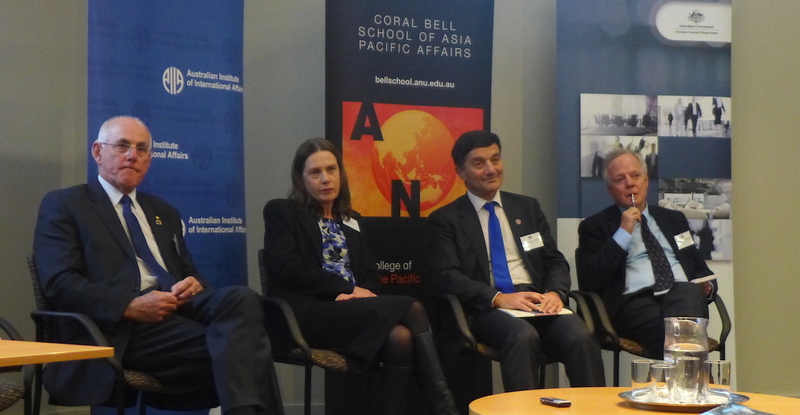 Participation in the rules-based order has been integral to the conduct of Australia’s bilateral relationships. Historical examples show that Australia and Japan have relied on international law in skirmishes over pearl-shelling and whaling. 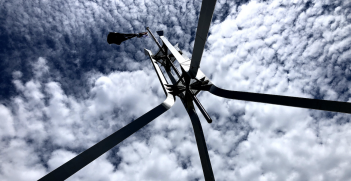 The focus in discussion of Australia and the rules-based order is often on Australia’s contributions to large-scale multilateral negotiations and whether or not it complies with or implement specific agreements. It is important to remember that in practice, however, participation in the rules-based order has been integral to the conduct of Australia’s bilateral relationships. I would like to illustrate this point with four vignettes in Australia-Japan relations, two related to pearl-shelling, and two to whaling. In the 1930s, Australia sought to limit Japanese pearling off the northern coastline as it was in direct competition with the Australia industry and more efficient; the Japanese industry also had close ties to the Japanese Navy. The Japanese pearling operations were, for the most part, carried out on the high seas in complete accordance with international law. Finding no basis in international law on which to exclude the Japanese, Australia’s rather clumsy attempt to curb their operations via an amendment to the Aboriginal Ordinance turned into a farce and the cases were either decided in favour of the Japanese or settled out of court in their favour. During the 1950s, Australia sought to negotiate with Japan to limit Japanese pearling off Australia’s northern coastline. Australian officials sought to rectify the lack of legal basis on which to demand limits by influencing the International Law Commission’s draft articles on the continental shelf and related subjects so that sedentary fisheries would be included within the resources that the coastal state could regulate. Australia’s efforts began with a trip by Australia’s Solicitor-General to Geneva to influence members of the Commission, followed by the 6th Committee of the UN General Assembly and at the 1958 Geneva Conference on the Law of the Sea. In 1953 the strategic manoeuvring became more complicated when Japan applied to become party to the Statue of the International Court of Justice (ICJ). Japan wanted to bring a case to the Court by Special Agreement. Australia agreed to do so subject to the two sides agreeing a provisional regime. Once Japan became party, Australia terminated its acceptance of the compulsory jurisdiction of the Court and replaced it with one accepting jurisdiction other than on matters concerning the Australian continental shelf or Australian waters as defined by the Pearl Fisheries Act, conditional upon acceptance by the other party of Australia’s provisional regime pending the final judgment of the Court on the matter. Thereafter there were annual bilateral agreements but no agreement instituting proceedings. Australia’s position strengthened once the 1958 Convention was concluded and the issue died down in the 1960s when plastics replaced pearl buttons. Australian officials, under H.V. Evatt, then Minister for External Affairs, expended considerable diplomatic energy attempting to persuade the US not to permit the resumption of Japanese Antarctic whaling pending the conclusion of a peace treaty. Although Australia failed to persuade the US, what was notable from reading the archival records was that, while arguments couched in economic, practical or political terms carried little if any weight with US officials, those which identified a possible breach of international law did lead to a re-evaluation of policy and/or procedure on the part of the US. On 31 May 2010 Australia instituted proceedings before the ICJ in the Whaling Case, which was decided on 31 March 2014. The Court found, inter alia, that the special permits Japan had granted its nationals to undertake scientific whaling in connection with the second phase of its Antarctic research program (JARPA II) did not fall within the provisions of article VIII, para 1 of the International Convention for the Regulation of Whaling, i.e. it was “not for the purposes of scientific research”. The verdict was unequivocal in requiring Japan to end JARPA II but did not prevent it beginning a new Antarctic whaling program (NEWREP-A). 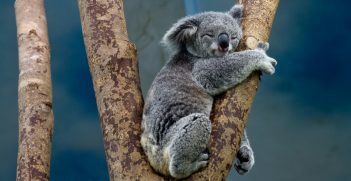 These vignettes illustrate that Australia’s participation in the rules-based order has, to a large extent, been an extension of a domestic respect for the rule of law in Australia and its allies. We lost the “lugger cases” to Japan in its own courts in the late 1930s. The 1950s pearling story shows that we adopted a legalistic approach to resolving a dispute even when, at the beginning of the episode, the law was not in our favour. Integral to addressing the dispute was its manoeuvring in the International Law Commission, in the 6th committee of the UN General Assembly and at the UN Conference on the Law of the Sea in order to influence the law to favour Australia’s position. In doing so, Australia very much relied on the UK and the US for strategic advice, expertise and support. The US and UK had been so key to the design of the ICJ that they were well-placed to help us pursue our interests via that avenue. The Occupation vignette illustrates just how seriously the US took criticisms couched in terms of international law. The fact that international law was so important to the conduct of these primary security relationships may help account for why Australia has produced just so many high-quality international lawyers. We are now in an era in which Australia’s security identity is more complex than in the past when it was tied so closely to the UK and then the US. Interrelated is the fact that there is an apparent reduction in the dominance of law as a reference point in international negotiations. It no longer gives the UK and US the degree of strategic advantage that it once did. Hence, perhaps it is little wonder that the US is turning away from its long-standing commitment to international law in favour of other ways by which to obtain a strategic advantage. Professor Shirley Scott is Head of the School of Humanities and Social Sciences at the Australian Defence Force Academy, University of New South Wales Canberra. 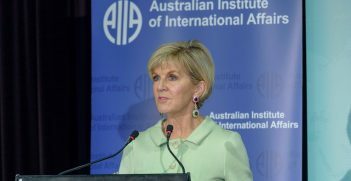 This article is based on her comments at a conference on Australia and the Rules-Based International Order held on 18-19 July organised by the Australian Institute of International Affairs, Department of Foreign Affairs and Trade and ANU Coral Bell School with the support of the Attorney-General’s Department. The vignettes are based on her articles titled ‘The Japanese Lugger Cases: The Triumph of the Rule of Law?’ published in Australian Journal of Legal History; ‘The Inclusion of Sedentary Fisheries within the Continental Shelf Doctrine‘ in The International and Comparative Law Quarterly; ‘Australian Diplomacy opposing Japanese Antarctic Whaling 1945-1951: The Role of Legal Argument’, in the Australian Journal of International Affairs, and ‘Whaling in the Antarctic (Australia v. Japan: New Zealand intervening) Judgment of 31 March 2014: A decisive victory – but for whom?’ in The International Journal of Marine and Coastal Law.